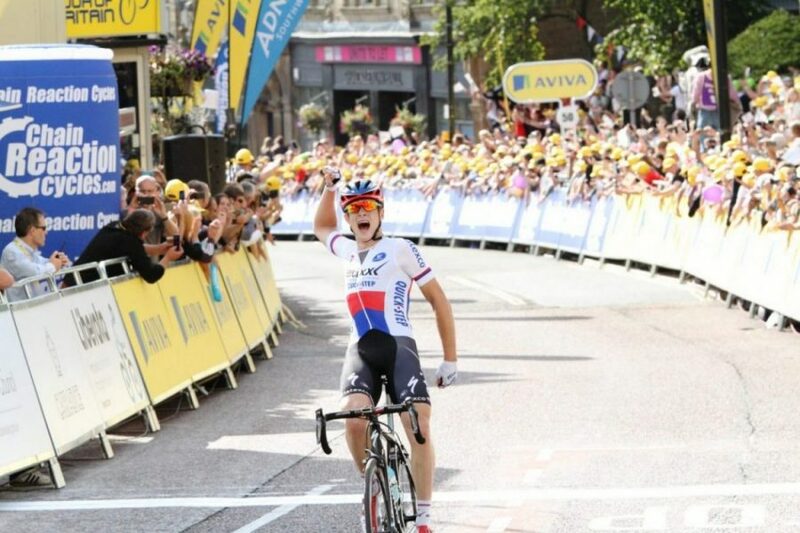 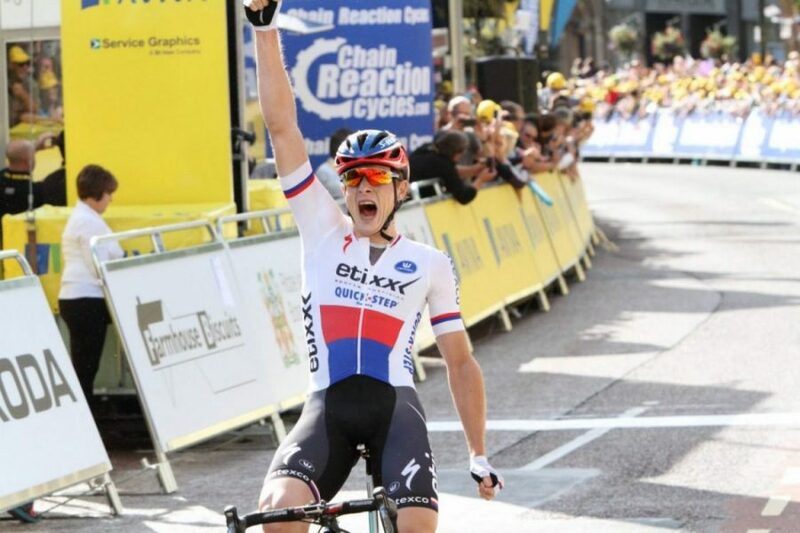 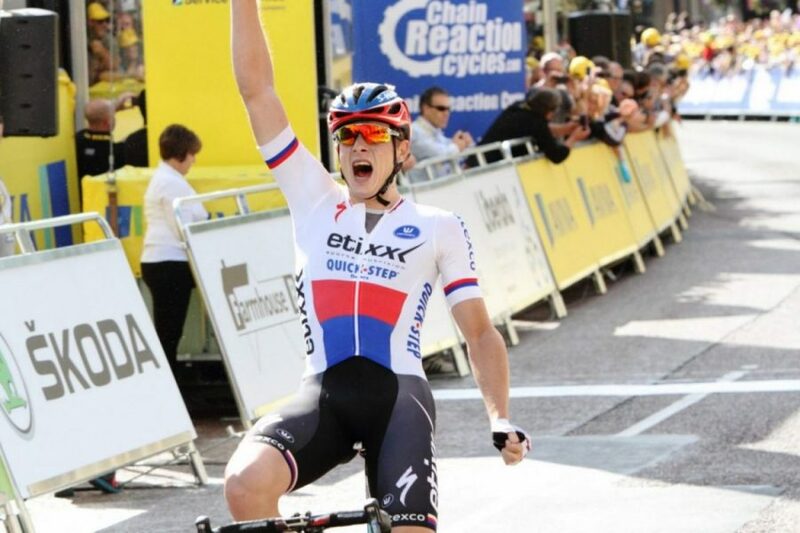 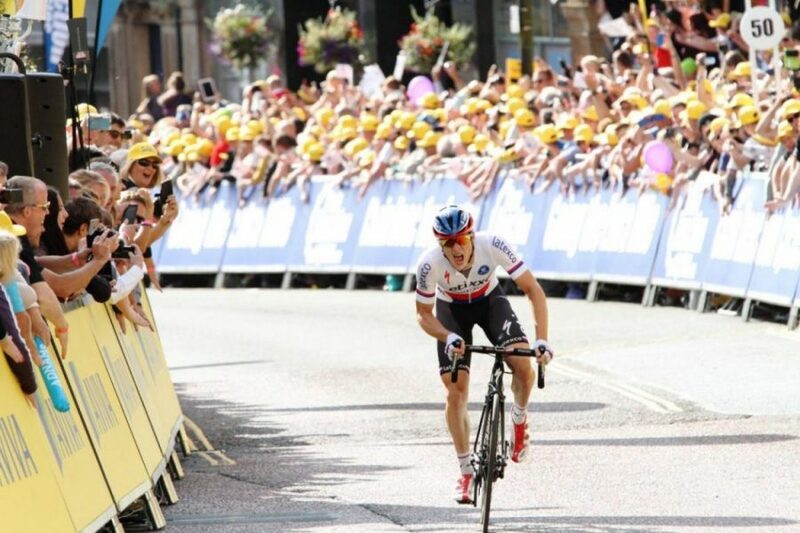 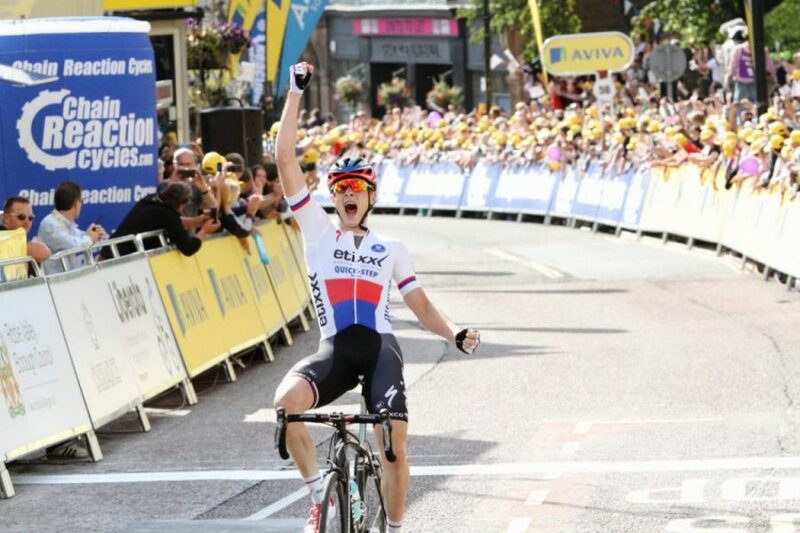 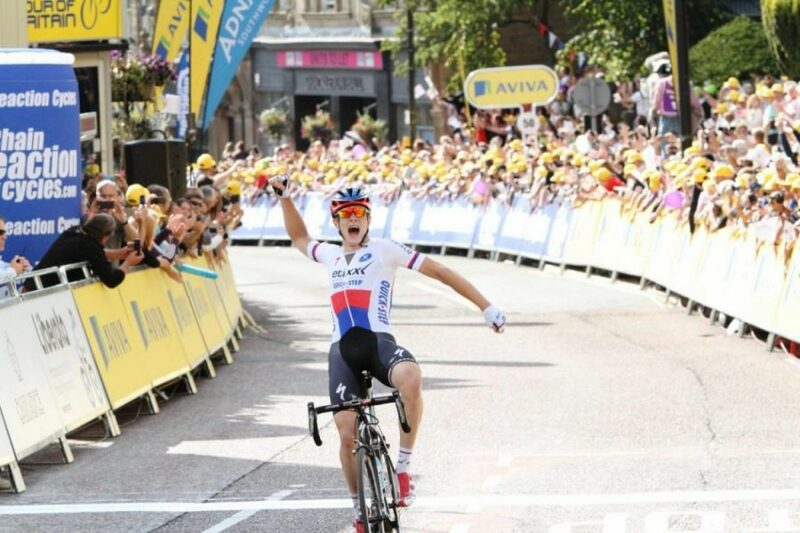 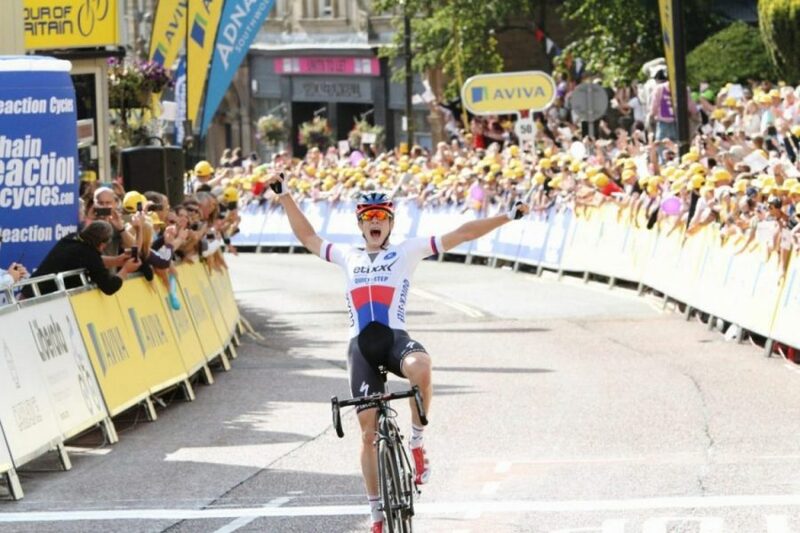 Czech National champion Petr Vakoc produced the ride of his life to hold off the peloton after a thrilling solo attack into Colne to take Stage Two of the Aviva Tour of Britain. 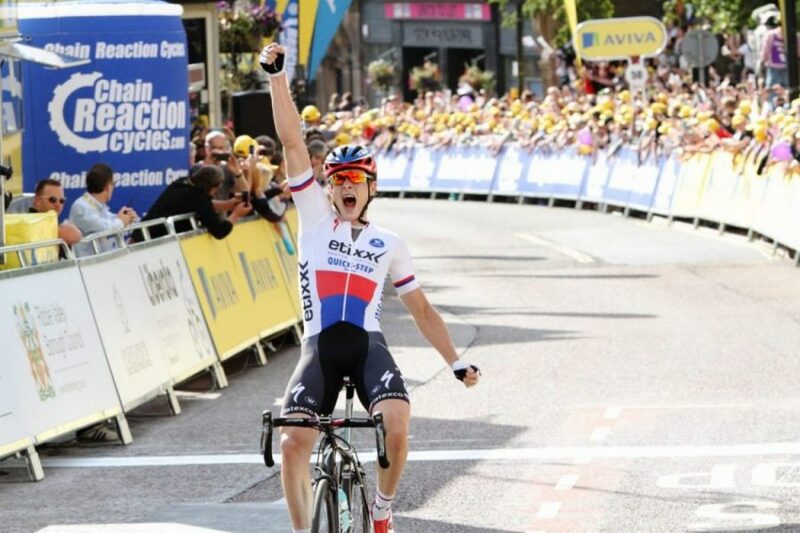 The economics student measured his effort well on the Pendle roads to take victory on Colne’s High Street by seven-seconds from Juan Jose Lobato, with former race winner Edvald Boasson Hagen a further two seconds back in third, as the finishing drag took its toll on the 45-rider chasing group. 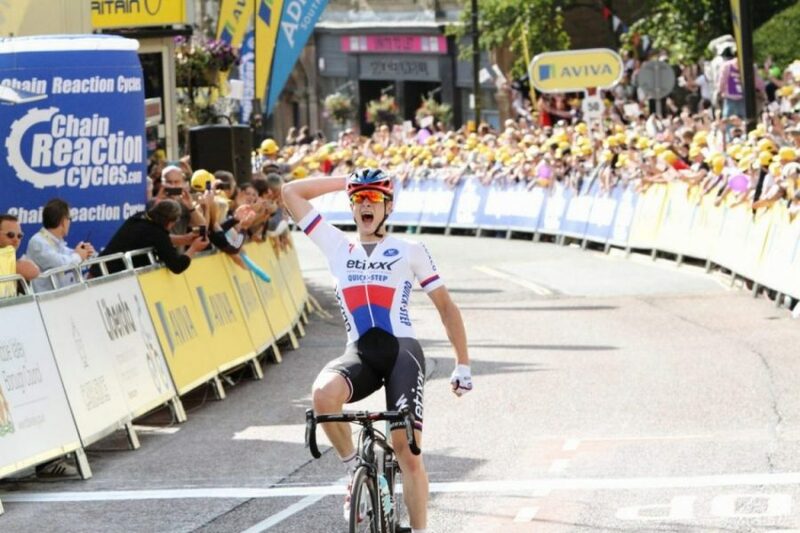 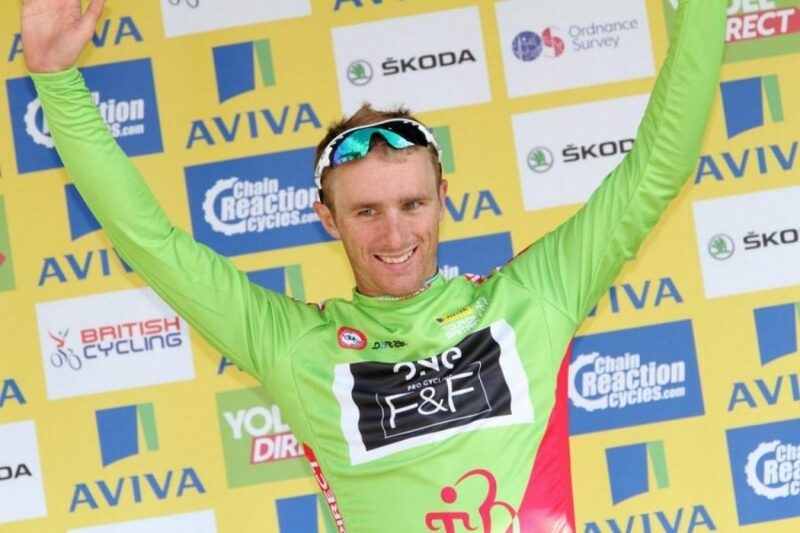 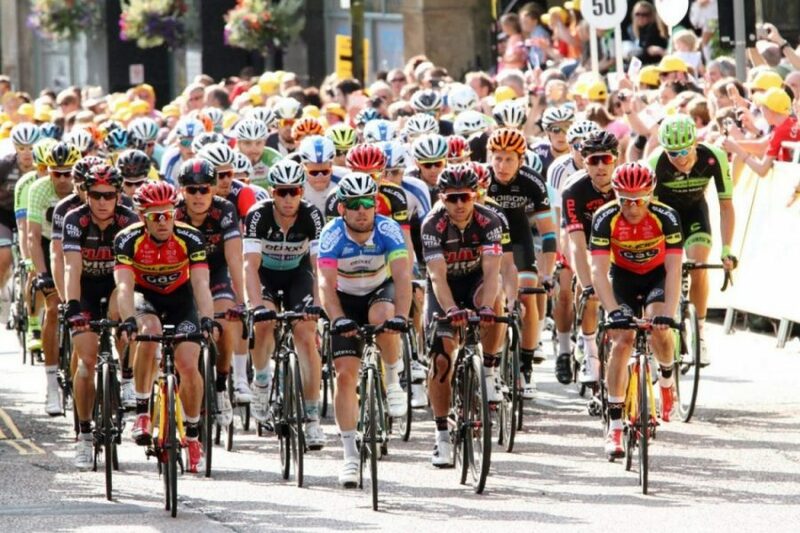 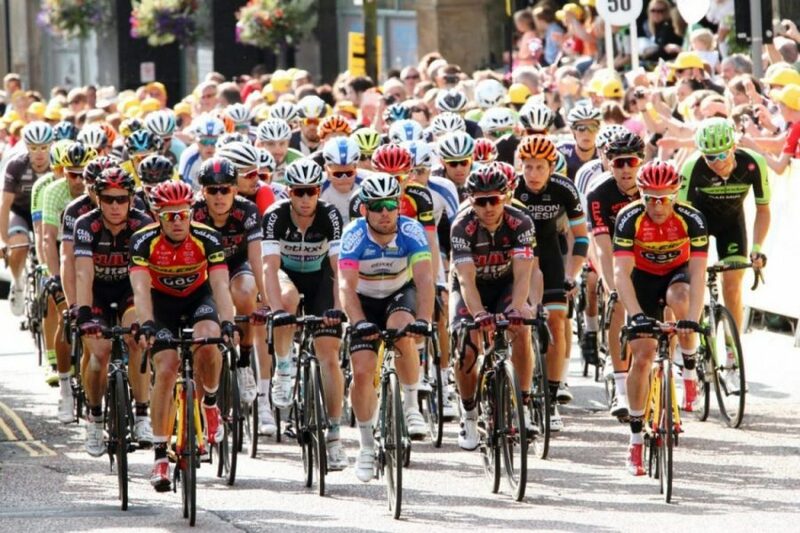 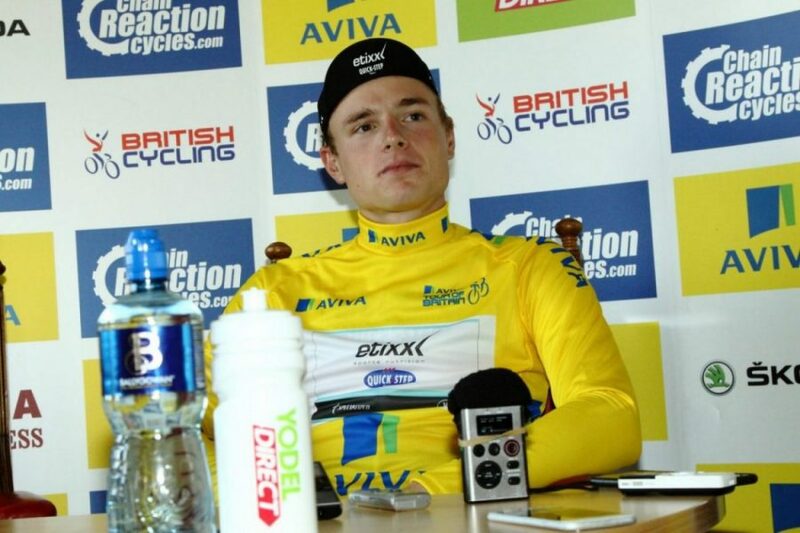 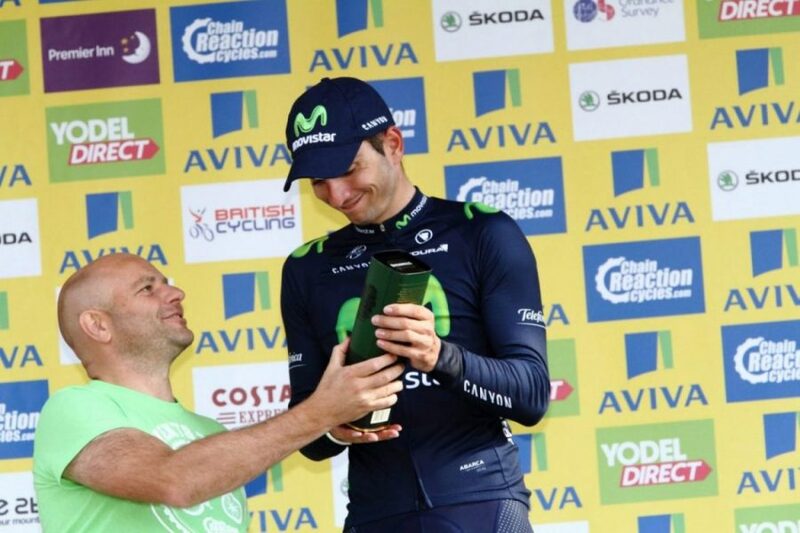 Vakoc was well rewarded for his monumental effort, taking over the leader’s Aviva Yellow Jersey and earning a rapturous reception from the Colne locals who have a soft spot for individuals who don’t quit no matter how tough the going gets. 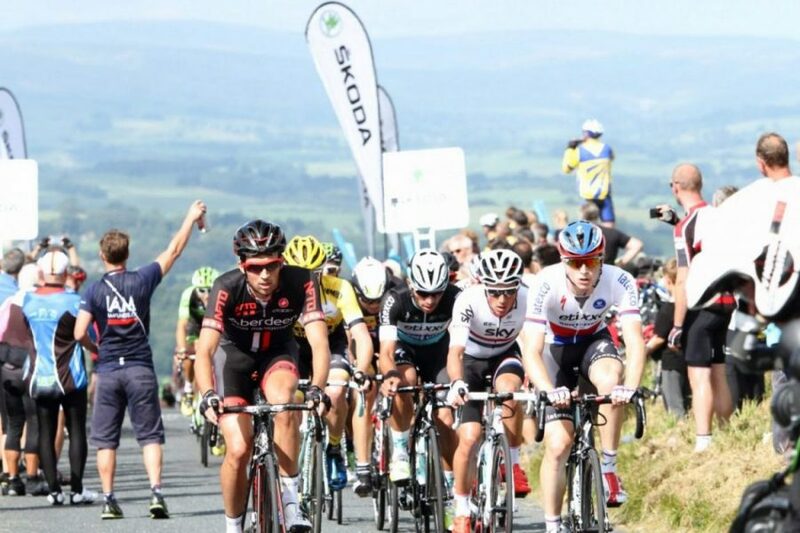 This is after all the birthplace of Wallace Hartley, the leader of the band who famously ‘played on’ when the Titanic sank. 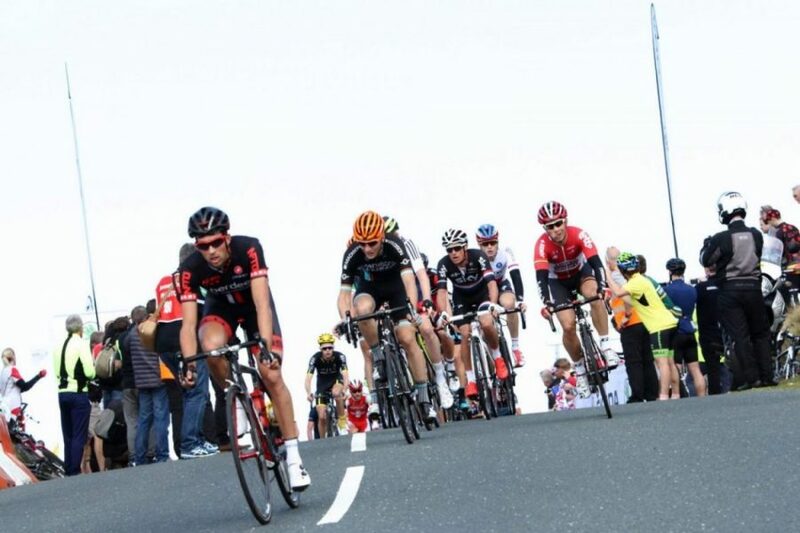 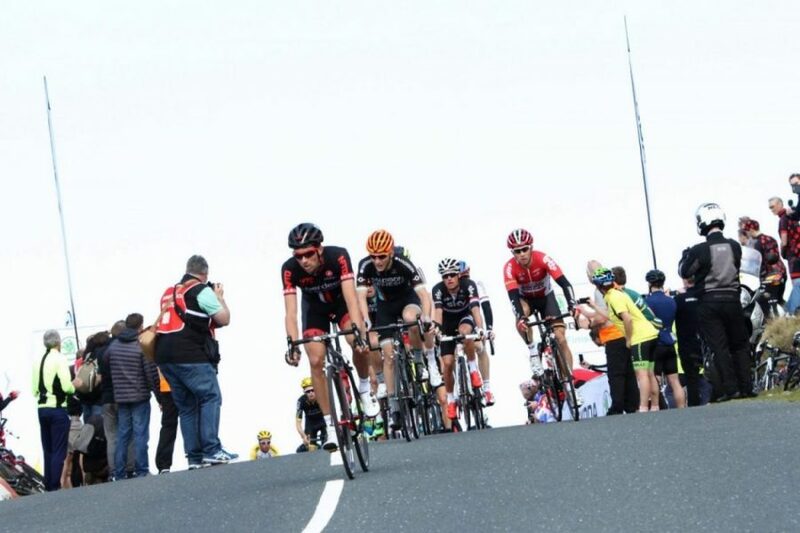 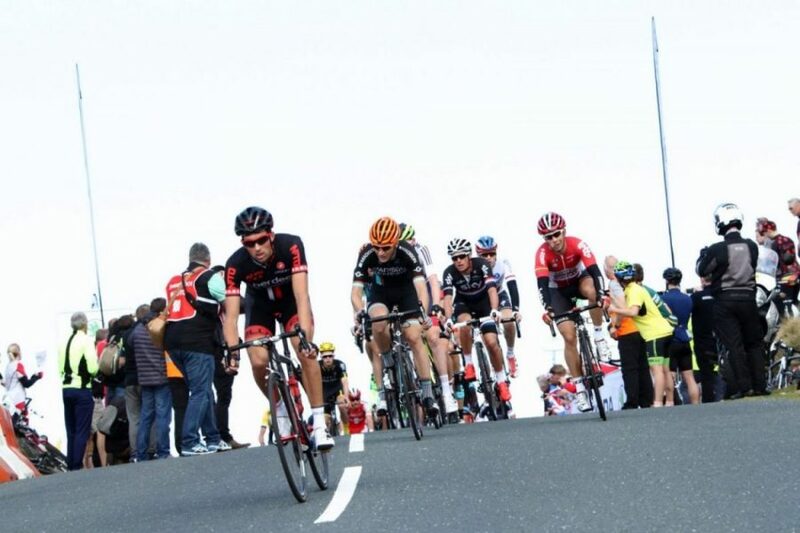 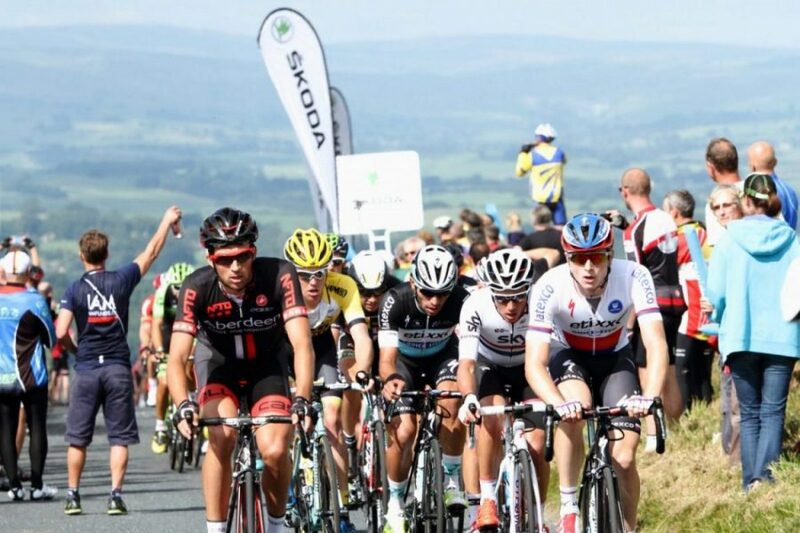 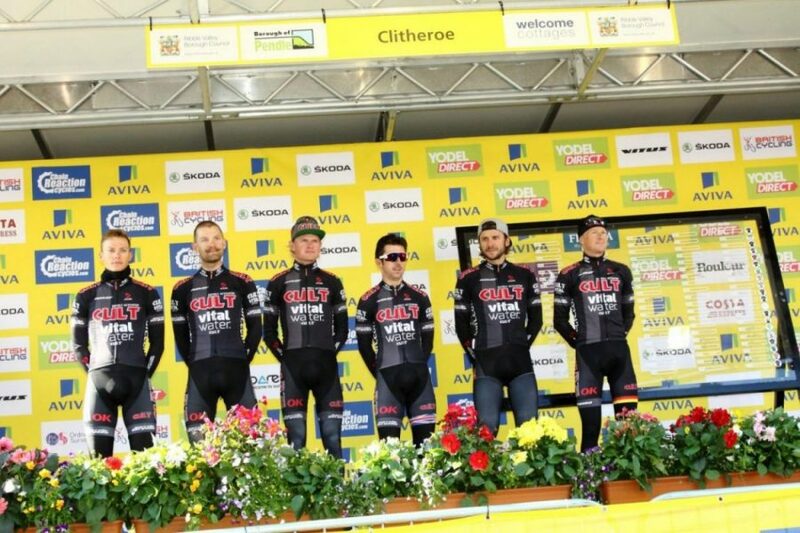 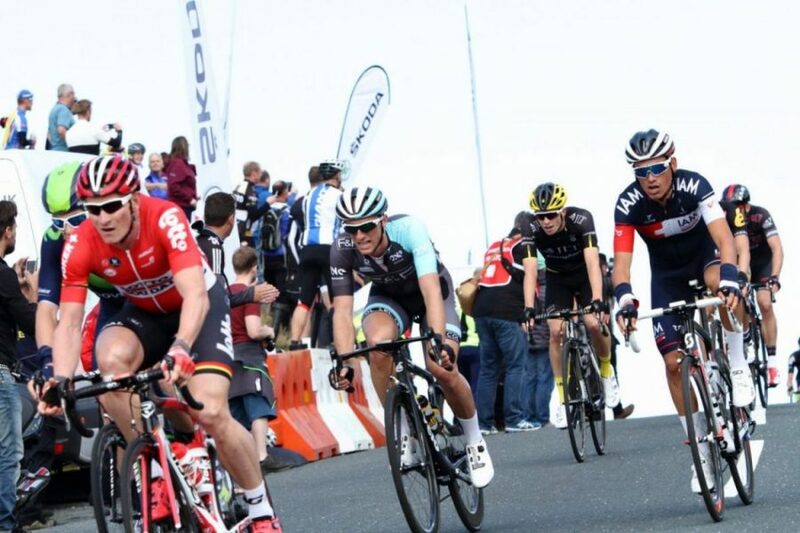 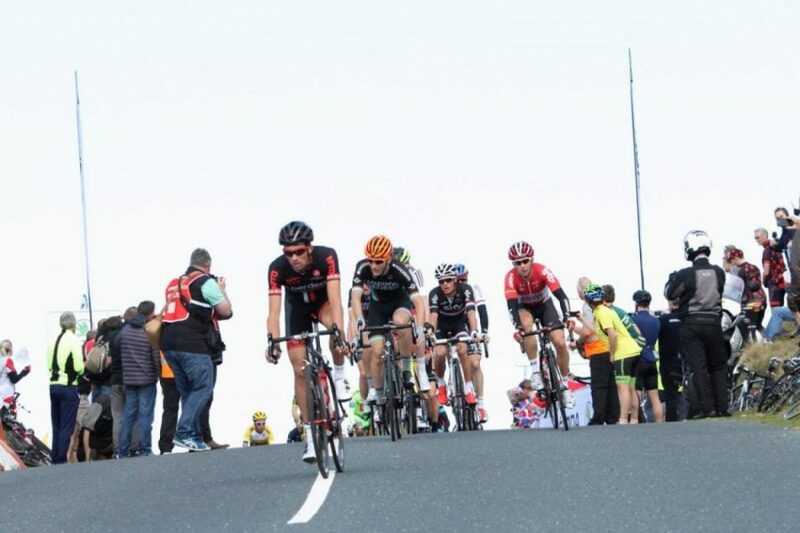 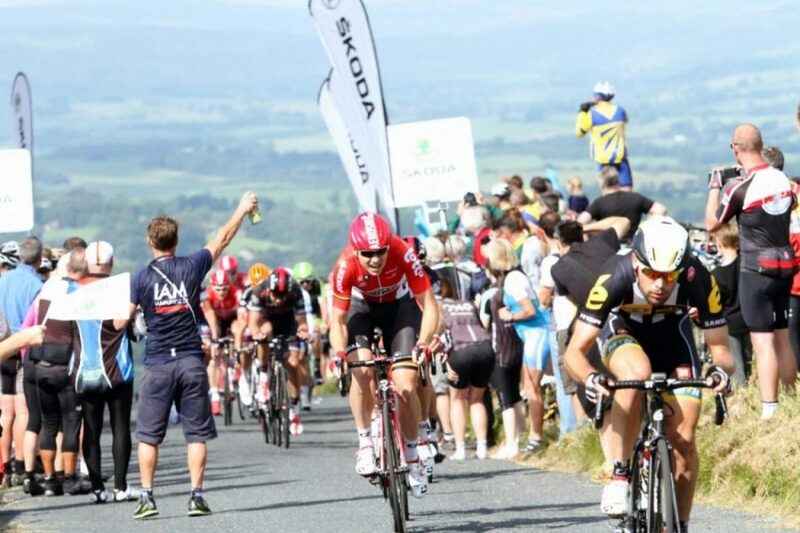 Just 23 and a fast emerging talent, plus a Gold medallist at the World Student Games, Vakoc took off with about 16-kilometres to go when an eight man break started to run out of steam and disintegrate on the rolling Lancashire roads. 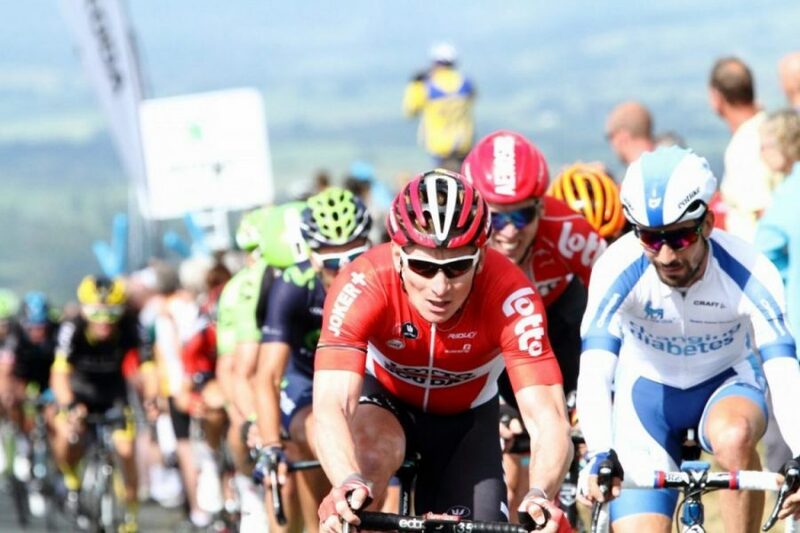 The peloton gave chase with Lotto Soudal trying to manufacture a sprint opportunity for Andre Greipel but on tough and sometimes narrow roads they struggled to get on terms. 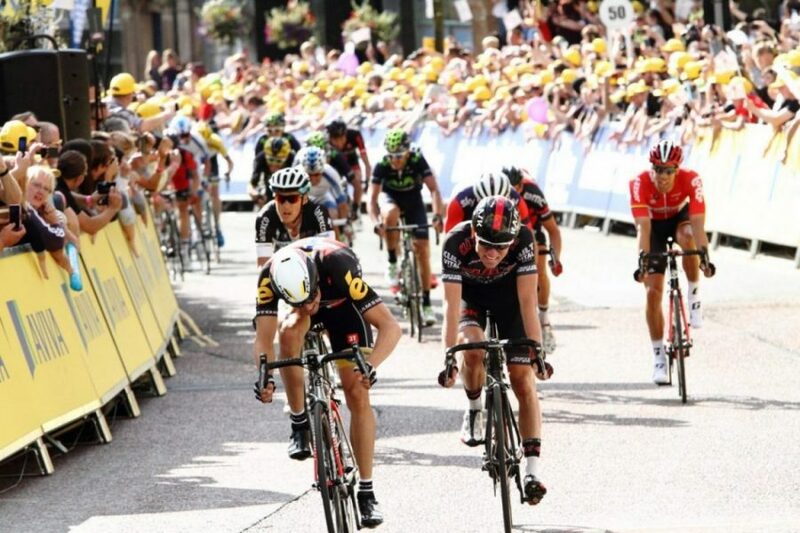 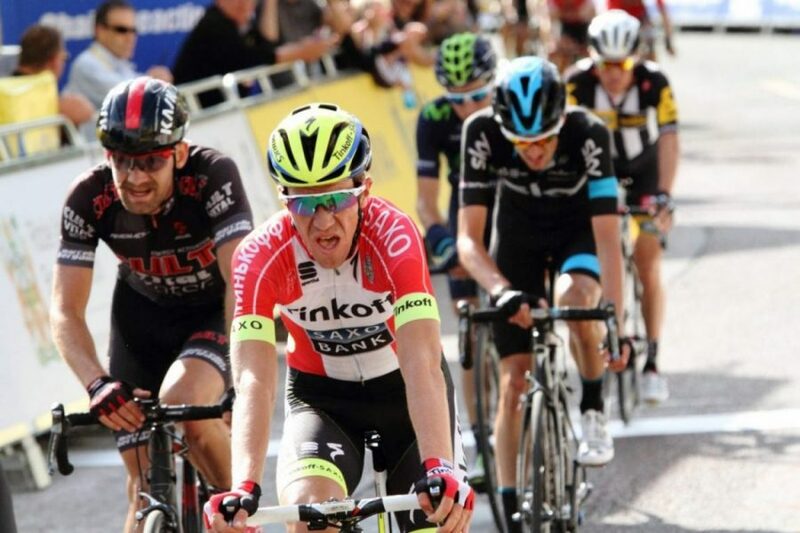 Vakoc never seemed to pull ahead decisively but nor did the bunch every quite get on terms. 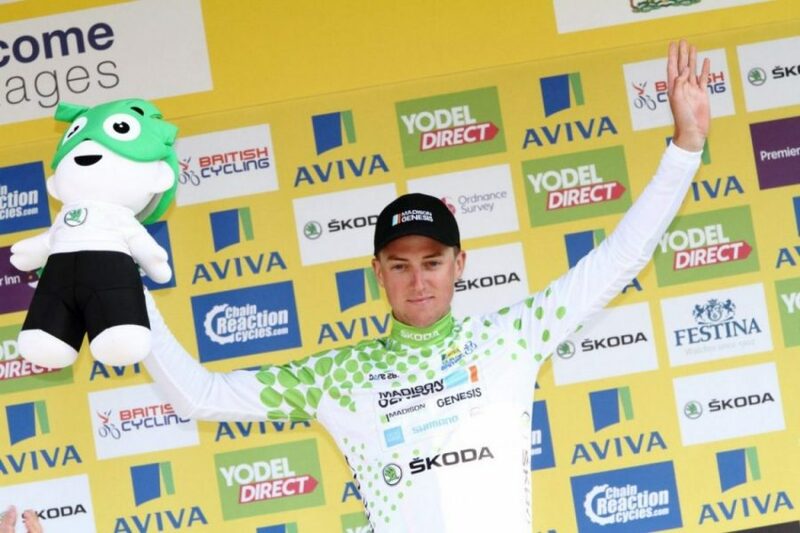 It was classic hare and hound stuff and this time the hare won. 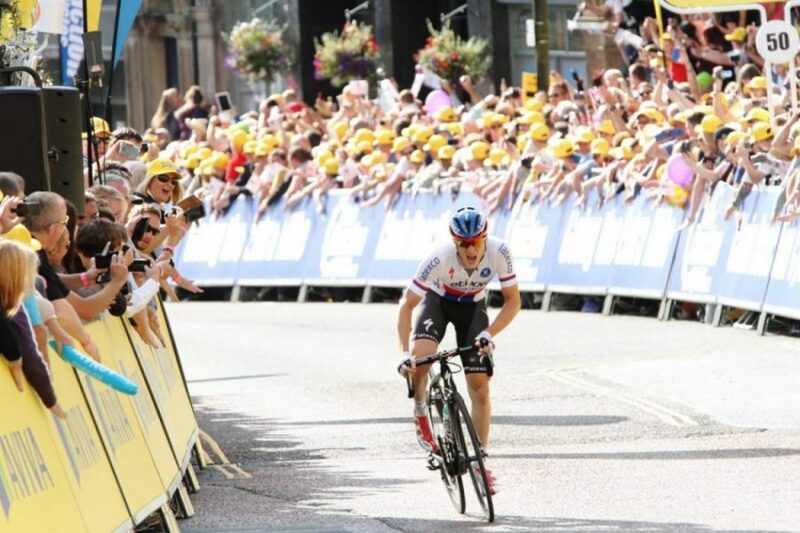 As he came into Colne, about 15 seconds to the good, the only thing that could derail the Czech Road Race Champion was a gruelling final kilometre drag but although you could see the pain and effort he seemed to get strong as he negotiated the ascent to win in style. 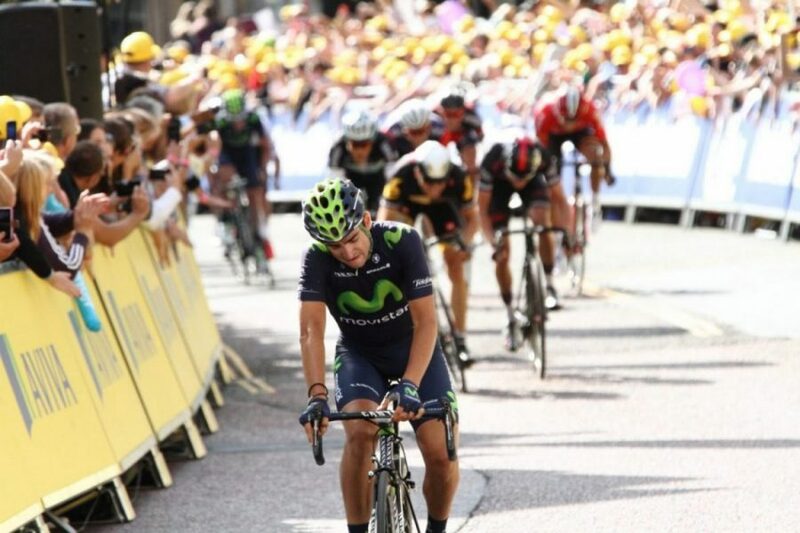 Juan Jose Lobato of Movistar chased him home seven second back with Edvald Boasson Hagen a further two seconds adrift, with the same order at the top of the Aviva General Classification. 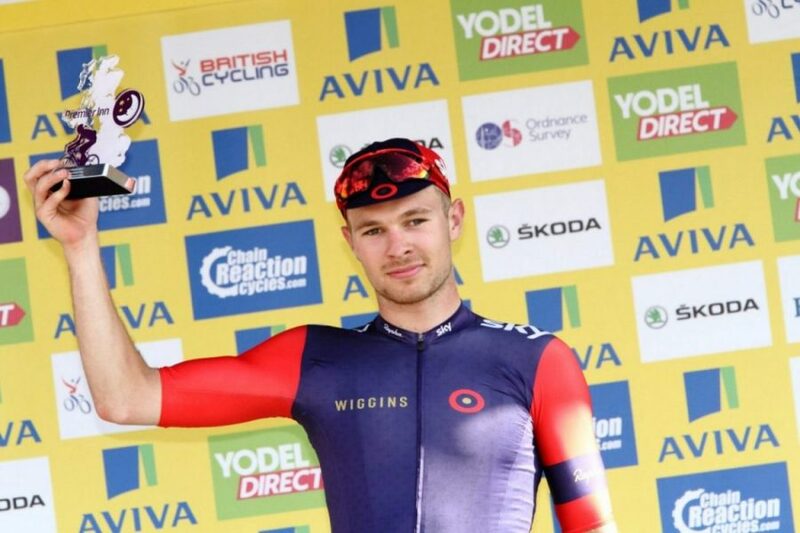 Lobato’s second placed moved him into the lead of the Chain Reaction Cycles Points competition while Owain Doull of Team WIGGINS again rode well to take seventh place on the road and the Premier Inn Best British Rider lead. 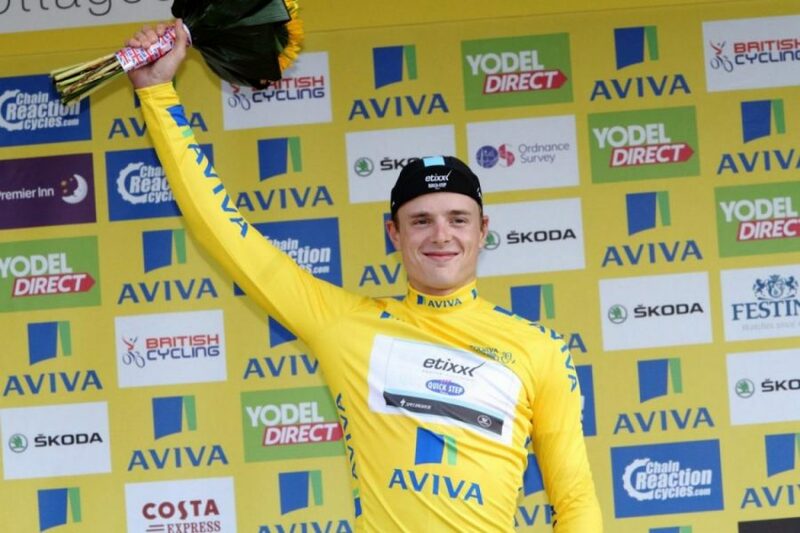 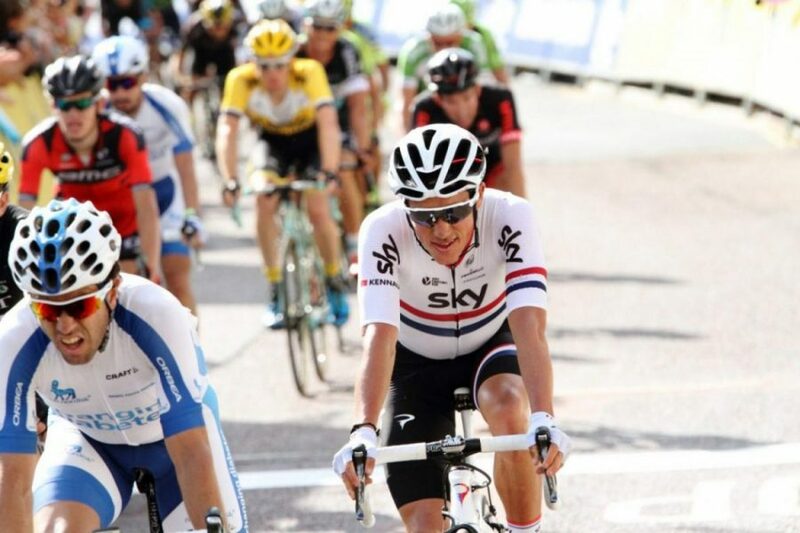 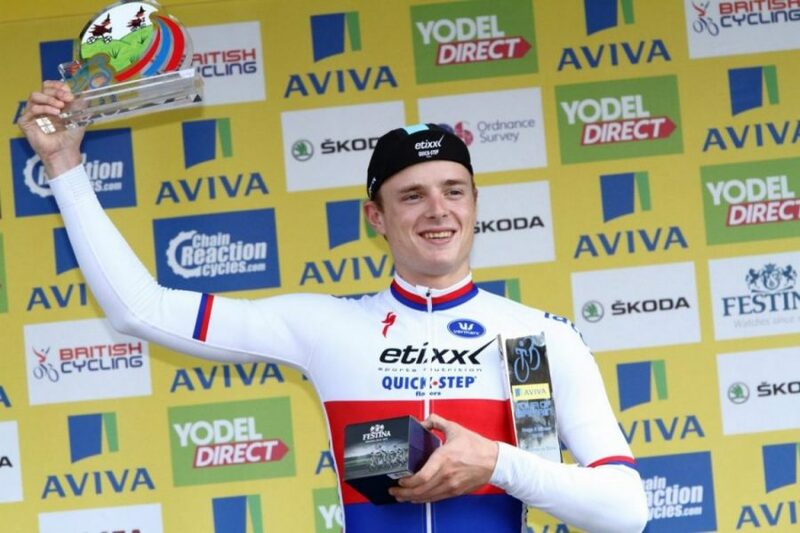 “It is a beautiful day and a big success for me, probably the biggest win of my career,” said Vakoc. 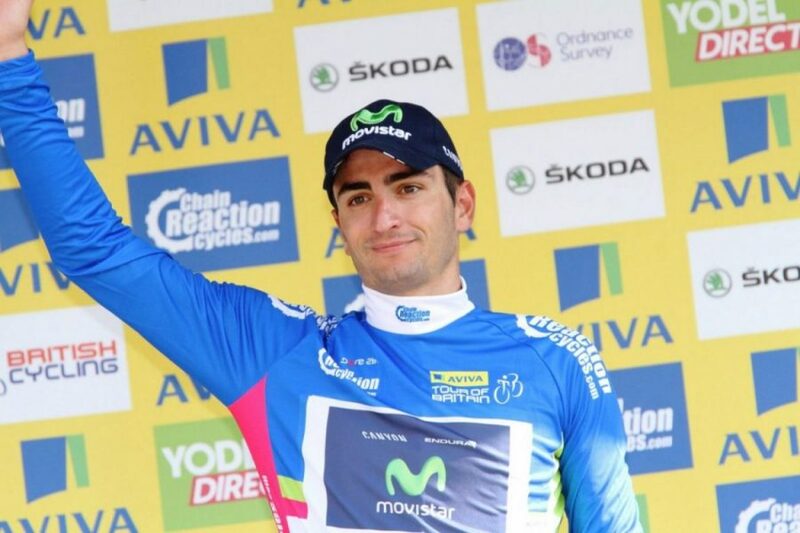 “I didn’t really expect a ride like this morning but I woke up with good sensations. 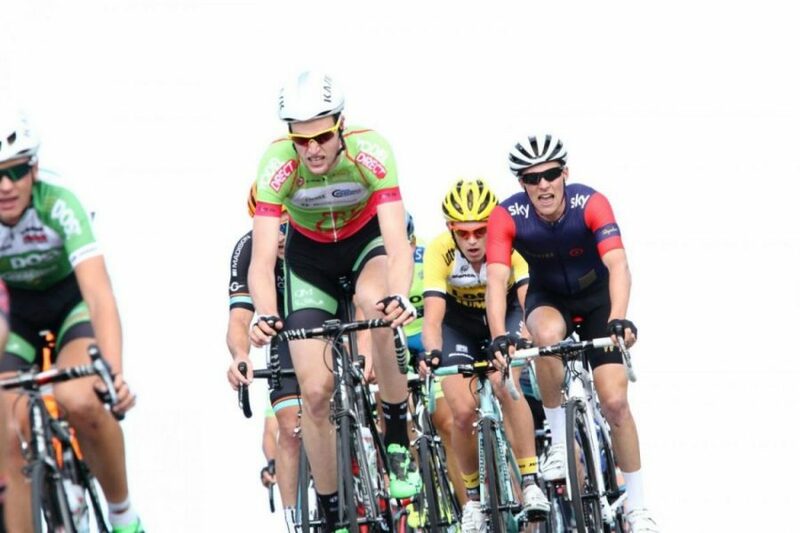 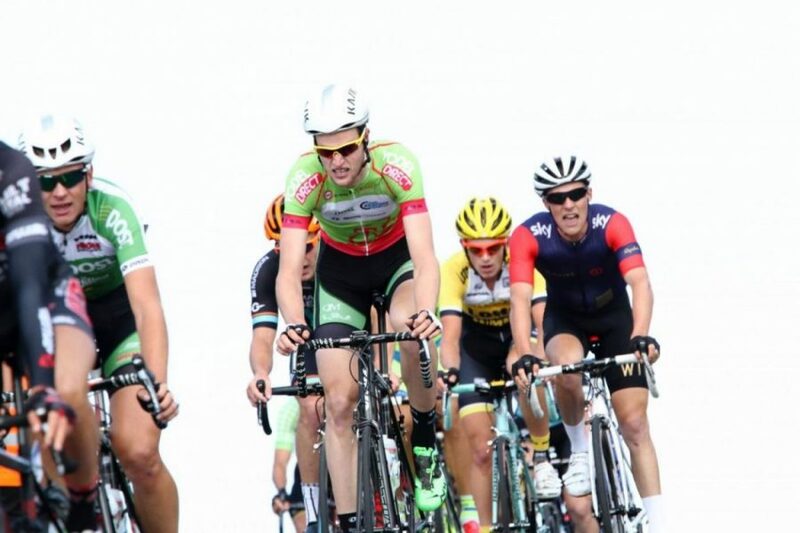 Normally I am not so good when there is a very hard start to a stage but today I felt good. 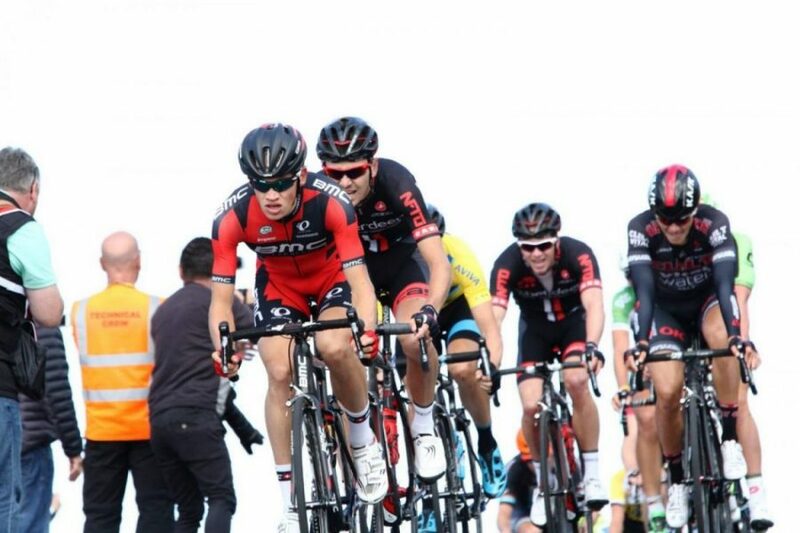 “Our tactics were to get in a break as it didn’t seem like it was going to be a sprint day. 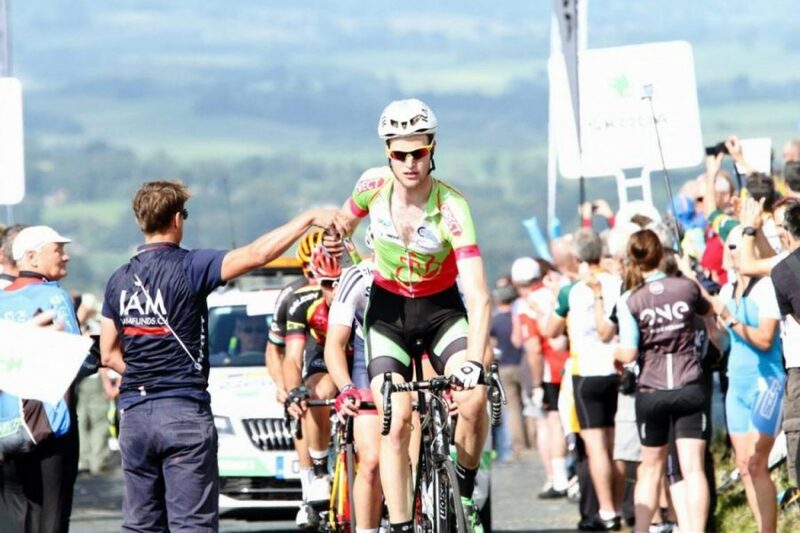 I managed to get in the eight main eight man break with 50-kilometres to go and we worked quite well but we weren’t going fast enough and the bunch was catching us so I tried my luck. 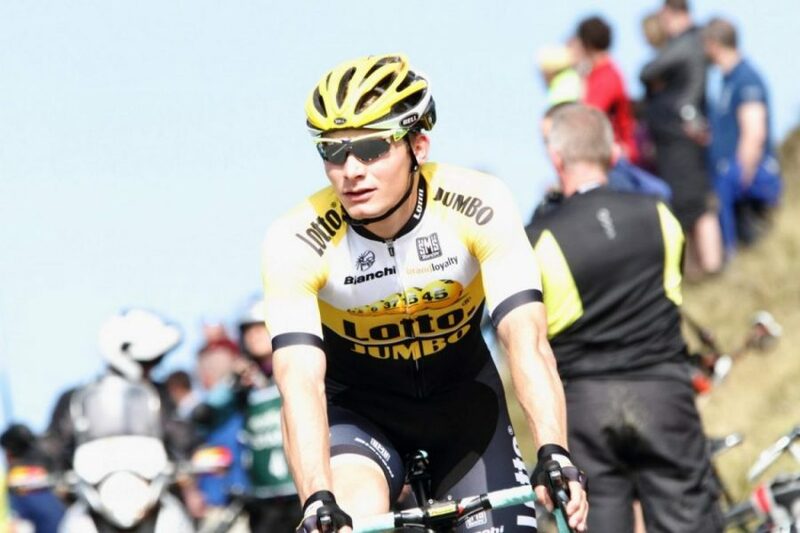 Vakoc has suspended his studies for an Economics degree because his professional racing career has taken off so dramatically recently and he decided it was too much to combine the two. 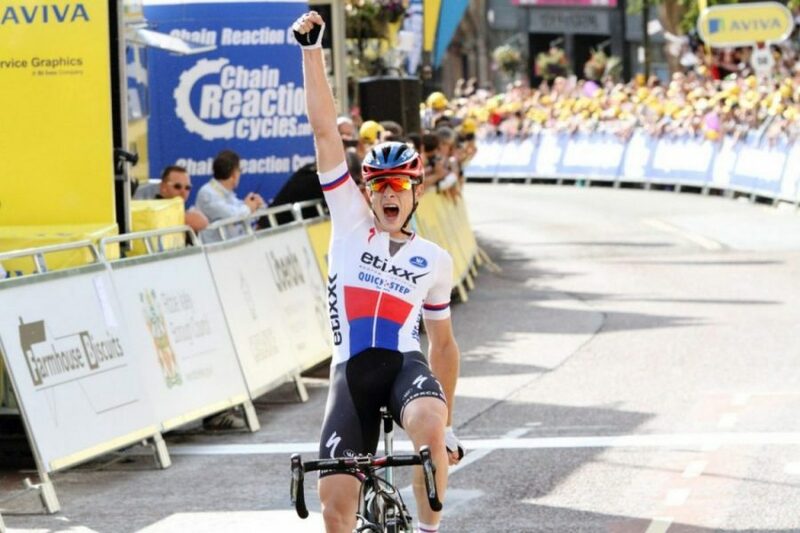 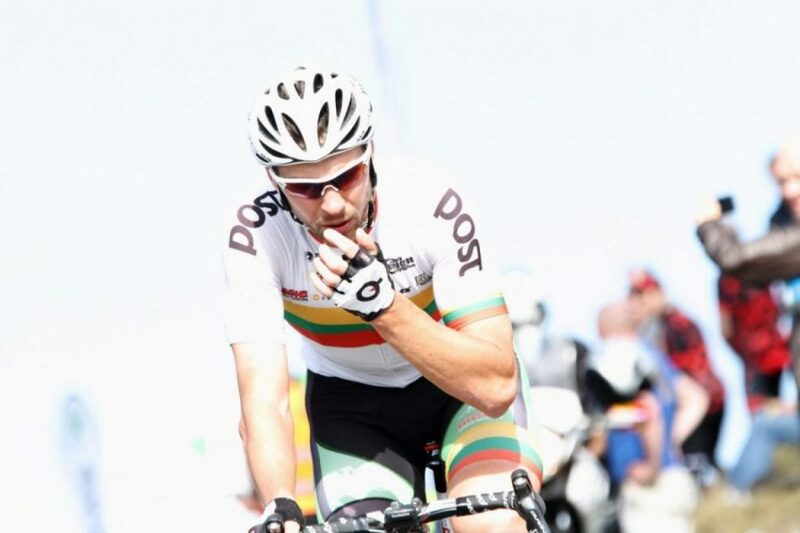 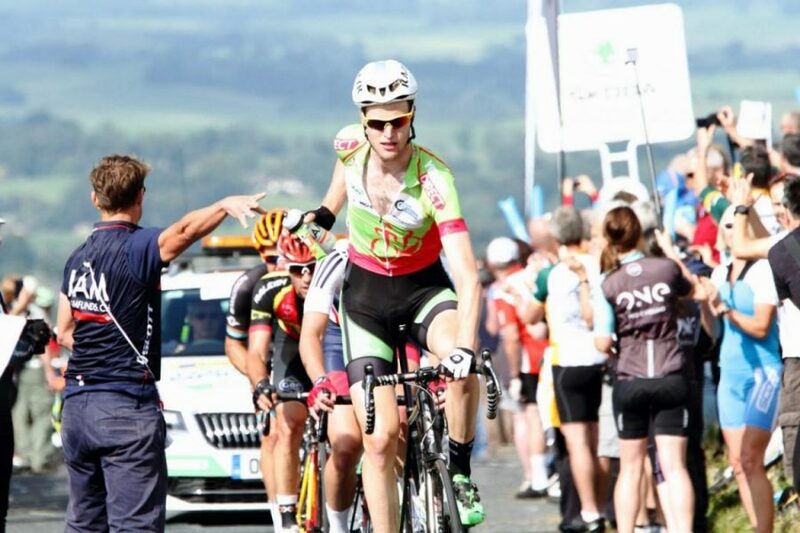 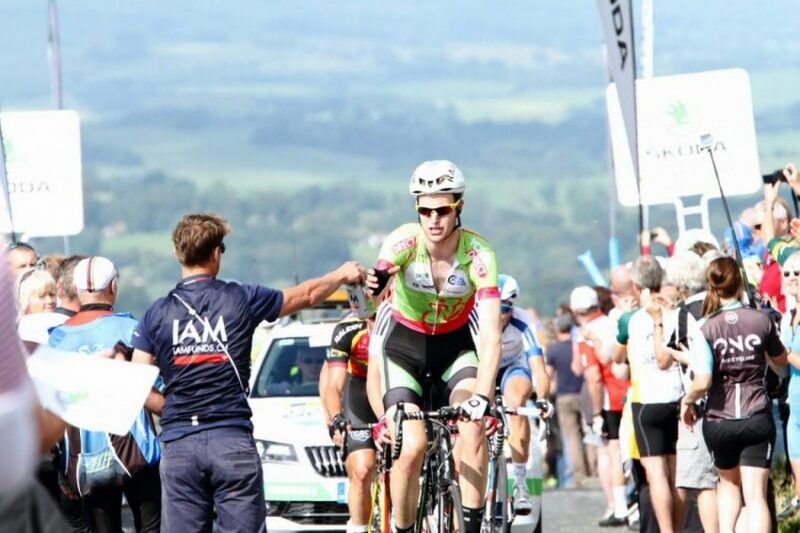 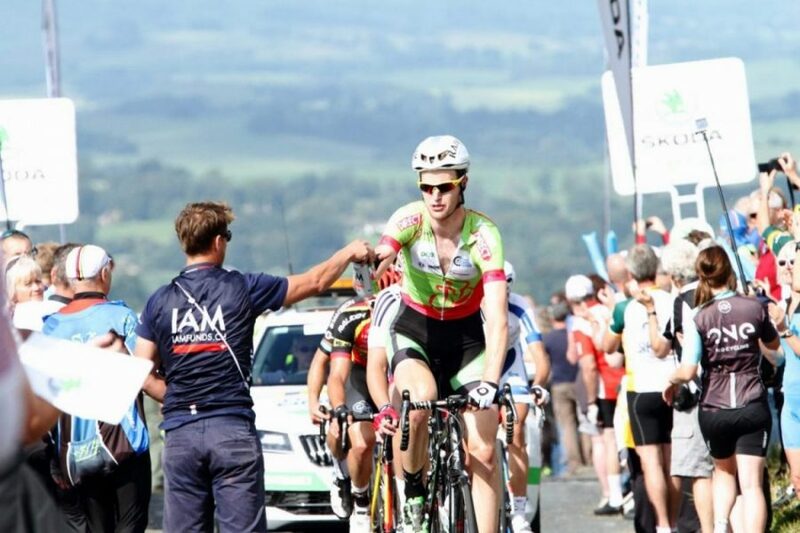 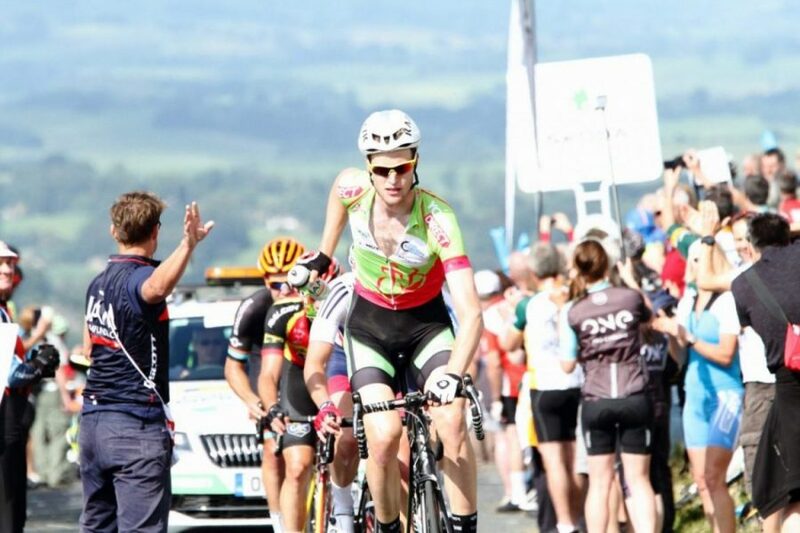 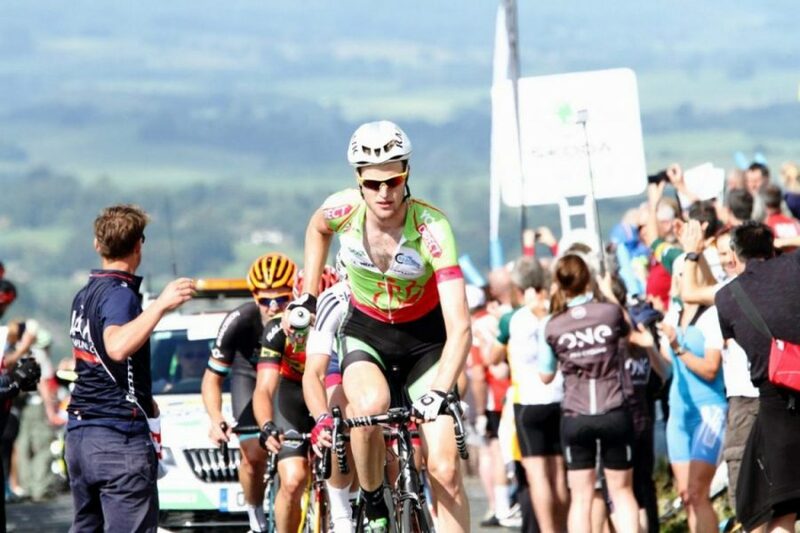 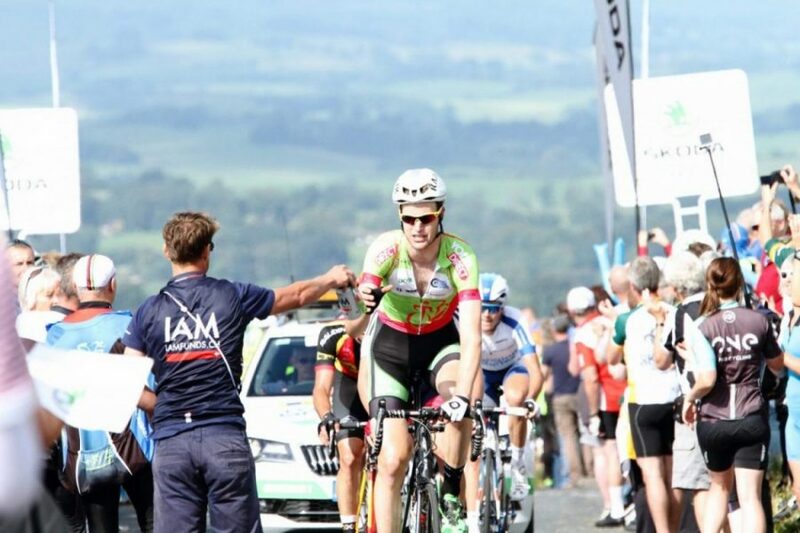 His form this year had been impressive with a win in the Czech National Championships and a Bronze medal in the in the inaugural European Games road race, then recently overall victory in his national Tour. 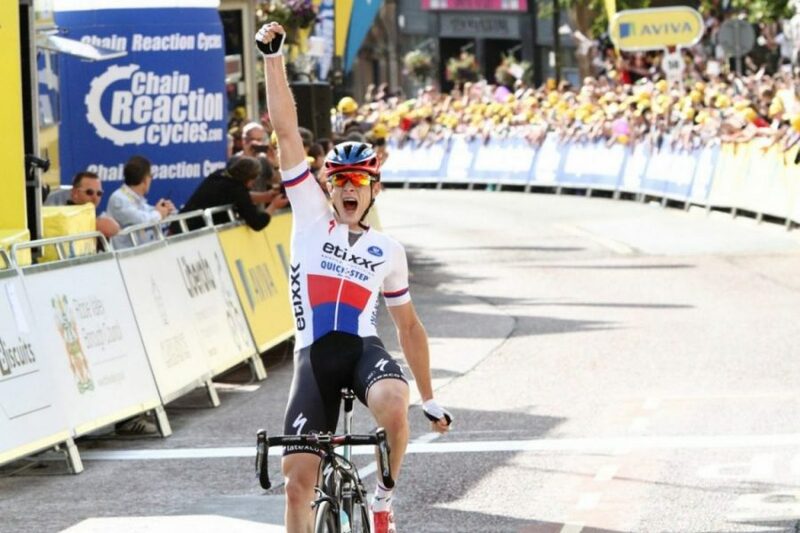 Last year, his first with Etixx Quick-Step, he recorded a stage win at the Tour of Poland and took time off from the professional peloton to win both the Road Race and Time Trial at the World University Championships at Jelenia Gora, also in Poland. 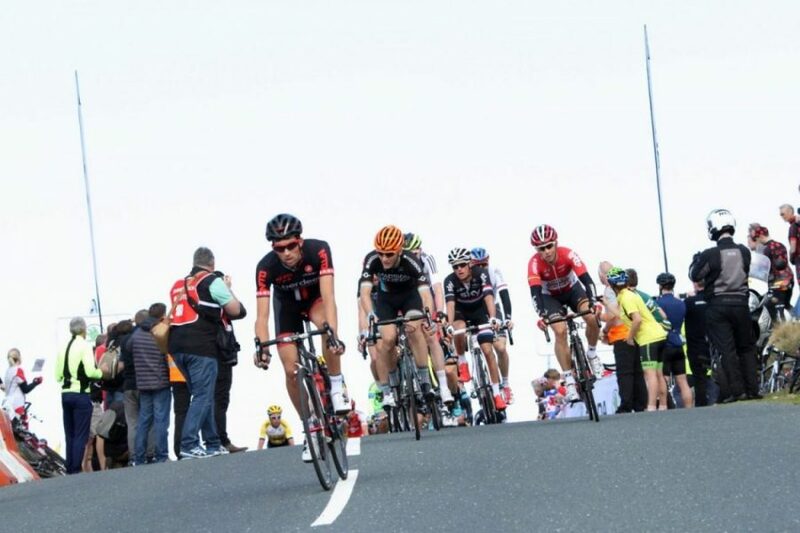 In the YodelDirect Sprint competition Peter Williams of ONE Pro Cycling Cycling reaped the benefit of aggressively getting in the early break and securing enough points to move one ahead of Pim Ligthart with erstwhile leader Conor Dunne a further point back. 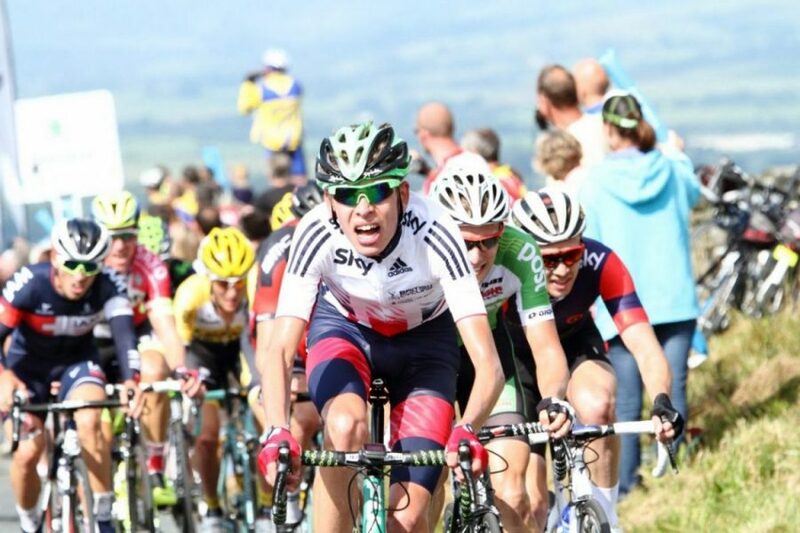 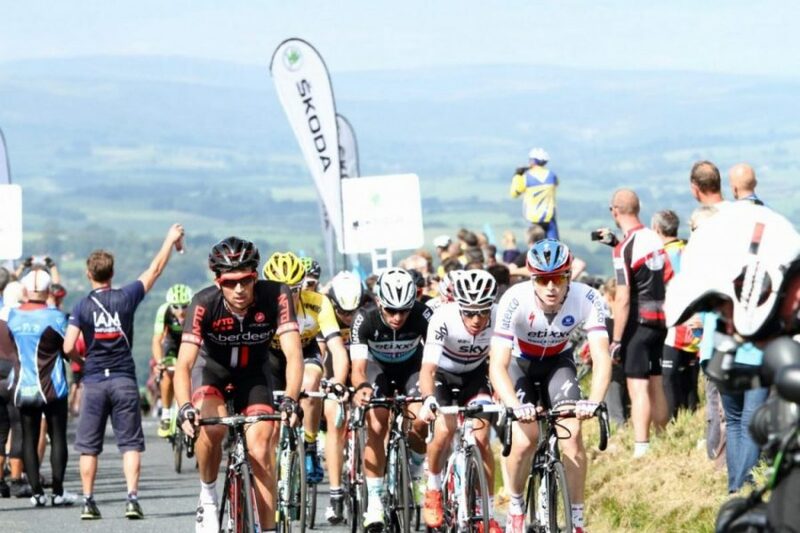 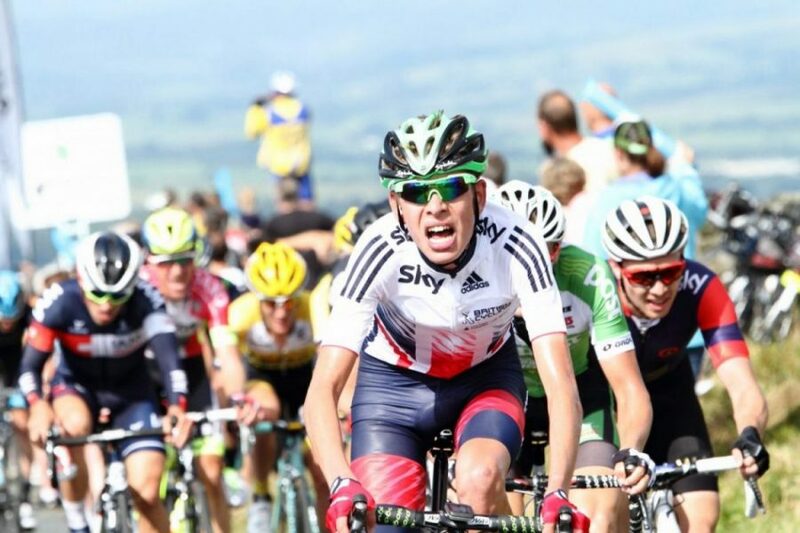 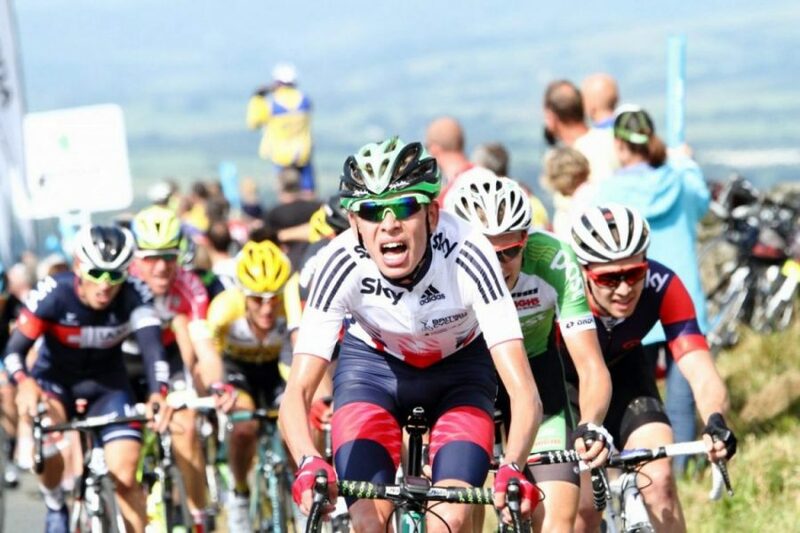 It was the second day that Williams, who lives locally at Skipton and trains on the roads of the Ribble Valley and Pendle, animated the early break, at one point gaining over four minutes and briefly being joined at the head of the race by Alex Dowsett. 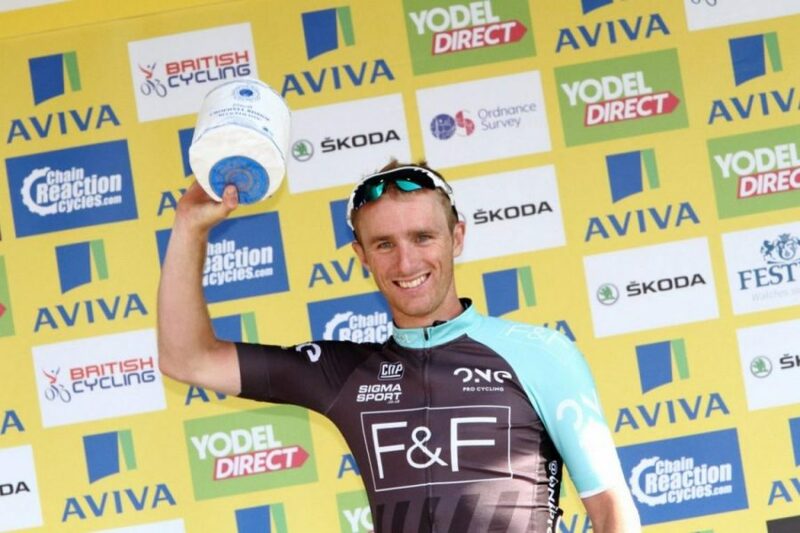 For his efforts Williams, who won the YodelDirect Sprints Jersey in 2012, was also rewarded with the day’s Rouleur Combativity Award. 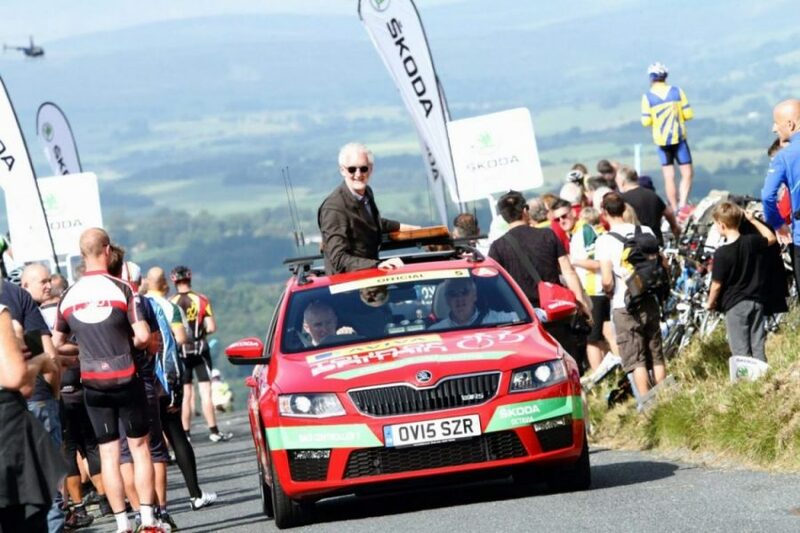 In the SKODA King of the Mountains classification it was another local rider, Preston’s Ian Bibby, who was the star of the day, leading the race over the first two climbs of the day – Nick o’Pendle and Bleara Moor – but it was Madison Genesis rider Tom Stewart who pulled on the jersey, after adding to his points haul from Stage One. 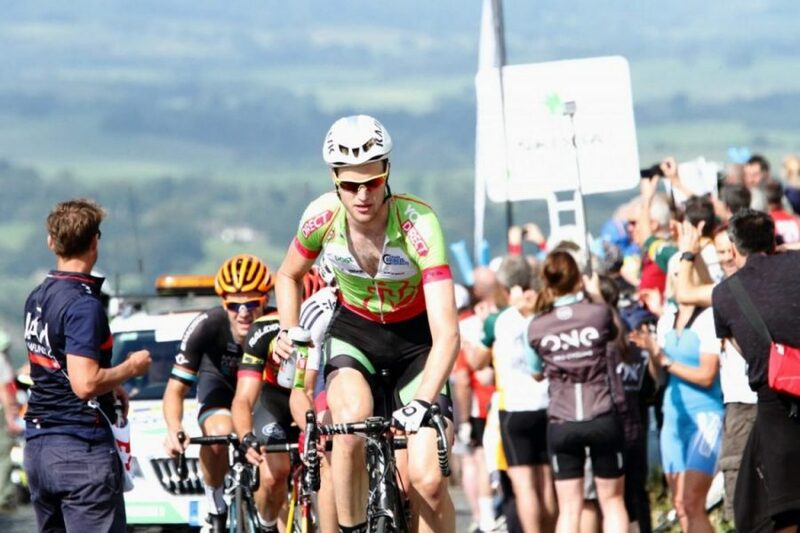 For full results and standings from Stage Two, please click here. 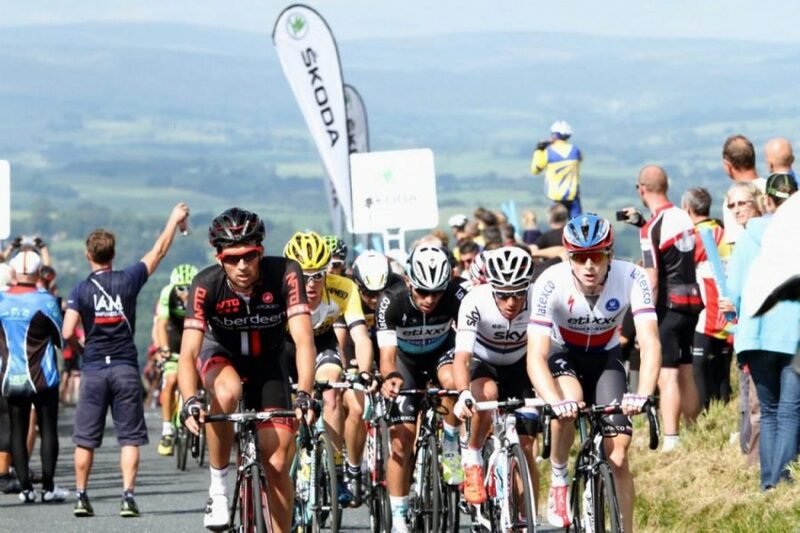 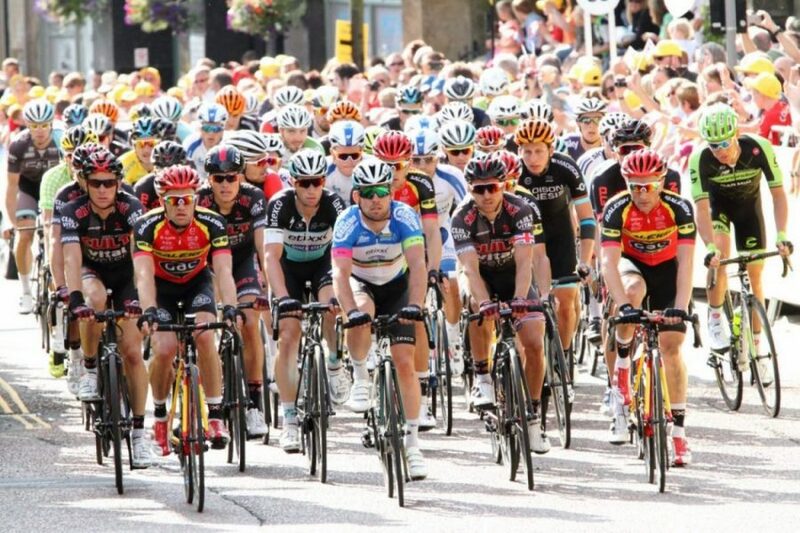 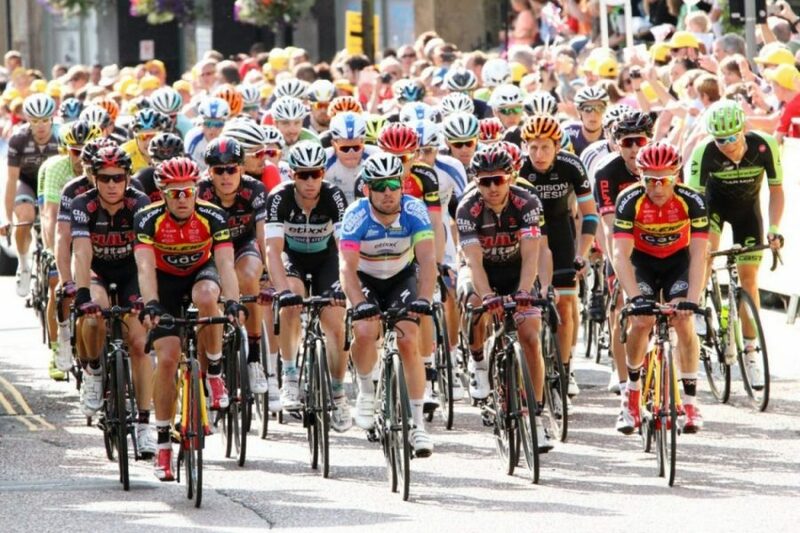 Stage Three sees the longest stage of the race so far at 216-kilometres, starting in Cumbria at Cockermouth at 10.15, before crossing the border north into Scotland, heading through Dumfries and Galloway and the Scottish Borders, before the finish at Floors Castle on the outskirts of Kelso.